Are you stuck for Christmas gift ideas for kids? Or maybe you’re scrambling for some some last minute affordable stocking stuffers? Puzzle Mom to the rescue! We’ve found some really fun and unique toys that your kids will be sure to enjoy – even MONTHS after you take down the Christmas tree. All toys recommended at Kids Puzzles Online have been played with or suggested by real kids and have been given the stamp of “Cool.” And, you won’t find these under the fad-section in your toy store so rest easy, you won’t have to run around town looking for these since most are available from Amazon and ship within days. I also try to keep them reasonably priced, so they won’t break the budget. Word of caution: These toys are so super cool, adults might try to steal them away from the kiddos! This very cool toy came into our life quite by accident. My son won a competition and he picked this out as the prize. It’s a set of 12 puzzle pieces and it’s like Tetris but better. It combines logic and spacial reasoning skills. How it works: The clue starts you off with several pieces arranged on the board. The task is to then fit the remaining pieces to fill in the blank spaces to complete the board. I know it sounds easy, but believe me, it’s not. And the strange thing about this is that older doesn’t mean wiser! My 11-year-old son and I were struggling for some time on one of the puzzles, and along comes my 8-year-old daughter and completed it just like that! I was amazed (and my son slightly miffed)! It even includes 3D puzzles where you have to complete a pyramid. Pocket-sized with built in game board (5.6 x 3.2 x 1 inches) so it’s completely portable. I absolutely LOVE this puzzle! It’s actually just as much fun to take apart as it is to try and put it back together again. I do have to admit, there are so many steps that it’s probably more suited to the older kids. The manufacturer recommends Ages 14+ and that sounds about right, but kids a couple of years younger who are really into these types of puzzles will enjoy it too. This is such a fun puzzle that has actually been around for ages. It looks pretty simple with only 5 pieces and 6 sides…but don’t be fooled. Each side is challenging by it’s own rights. How it works: Each side has a unique polygon shape. The object is to arrange all 5 pieces within the polygon frame. Each side gets more challenging. This is a toy you keep coming back to, but at the end of the day, there are only 6 puzzles. A few years ago when the Perplexus first came out, it was going for over $20. But after browsing on Amazon, I am SO glad to report that I have found it for $15.99! Why am I excited? Because even years later, my kids still love to play with this and at this price, I am going to be purchasing a few as well since we’ve got several birthdays and Christmas parties to go to. 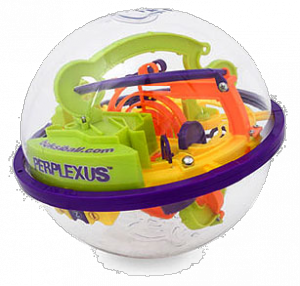 I was struggling with whether to include the Perplexus on my list because I wouldn’t exactly call it “brain teaser” challenging…but, it is DEFINITELY challenging and it always gets double thumbs up from my kids’ friends, so I thought I had to share it with you and let this sneak onto my list. See other customer reviews – they rave on about it too! How it works: Remember those little maze games you get in the goodie bags with the little metal ball you have to maneuver from start to finish? Well, this is similar but 100 TIMES more challenging! Take a close look at the picture – you have to move the ball through all those twists and turns and not let it fall off – otherwise, back to the start! It drives the kids crazy but they can’t put it down! From 5-year-old to adults…you will have a blast trying to complete this. It’s not pocket sized, so can’t fit inside a purse. But if you want to carry a hobo bag…? My Christmas Gift Ideas for Kids list wouldn’t be complete without the Rubik’s Cube. It’s the ultimate brain teaser puzzle that has become a “sport” in its own right, with Speedcubing competitions held all around the world by the World Cubing Association. I have to say, we’ve attended a few of these events, and my son even entered one of the competitions and the experience was surreal but so much fun. Do a Google Search on Speedcubing competitions in your area and pop in to see what I’m talking about. These are kids with amazing talent, solving the cube at under 10 seconds! If your child is serious about speedcubing, then the Rubiks Cube is “stiffer” compared to those used by the competitors and they won’t see any time improvements on this. I would suggest purchasing a speedcube such as the Dayan ZhanChi to practice on instead. And there you have it. 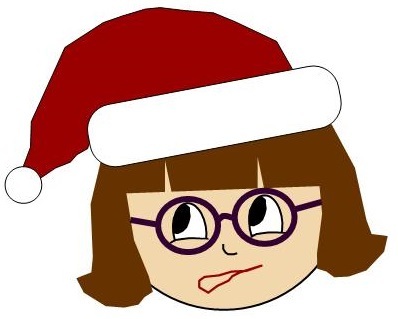 My Top 5 Christmas gift ideas for kids – a little bit different, but a whole lot of fun. I live in the area and I need help with my sons services. I am ismsepred with the work you guys have done and wonder if you help with individual needs like mine. I like that you guys keep your resources local and help families directly. Thanks for all you do and I was happy to see you on tv the other day. My Top 5 Christmas gift ideas for kids? I would have to say give them cool stuff that they’ll really get into using. Only give clothes to a child who really digs them and really wants them. Giving little Billy 3 pairs of ugly flannel socks ain’t too cool ……. Unless there’s a nice thick stack of Benjamins shoved down inside one of the socks. Then the socks are cool. Hi Neil. Thanks for your comments. I’m finding that it’s up to us as parents to actually put these types of puzzles and activities in front of the kids since they won’t be asking for it themselves, hahaha. 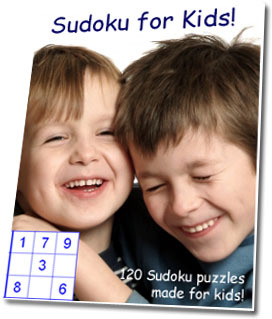 But if I get enough parents on board, I know I can continue another generation that loves crosswords and logic puzzles! By the way, just to warn you, the Perplexus is kinda addictive! I’ve only just found this post and think it’s a fantastic idea. Only the other day my 6yr oldd son was pintutg his apple (cut into quarters) back together. I never thought to actually take it further and make the apple into a more difficult puzzle. Guess what’s happening to his apple today! Thanks heaps for sharing. Techozoic 2.1.1 by Jeremy Clark. | 43 mySQL queries in 0.361 seconds.